Polyester-5. 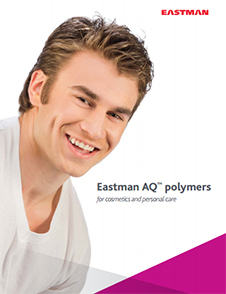 Eastman AQ™ 55S Polymer by Eastman acts as a film former. It is a sulfopolyester that disperses directly in hot water without the assistance of surfactants or other additives. 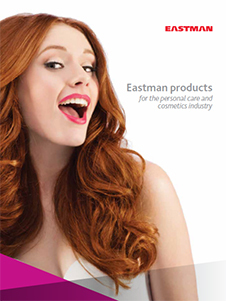 Possesses characteristics such as tunable firmness, low tack, high gloss and long-lasting hold. Shows improved water and smudge resistance. 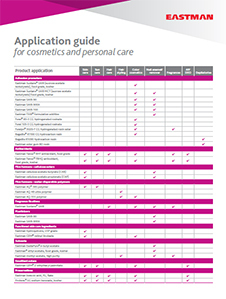 It aids the dispersion of many hydrophobic ingredients in water-based products and forms clear films at room temperature from aqueous dispersions. It offers good film integrity and modifies its stiffness with plasticizers and thickeners. 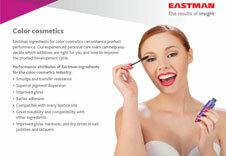 Eastman AQ™ 55S Polymer is used in color makeup, eyeliner, hair gel, hairstyling, liquid makeup and mascara.